Buying a used Boxster 986 is one of the most affordable ways to become a Porsche owner, with some models now available for less than £5,000. Pick the right 986 and you will get a genuine bargain, but there is also a chance you could end up with a money pit, so it really pays to know what to look out for before you start your search. 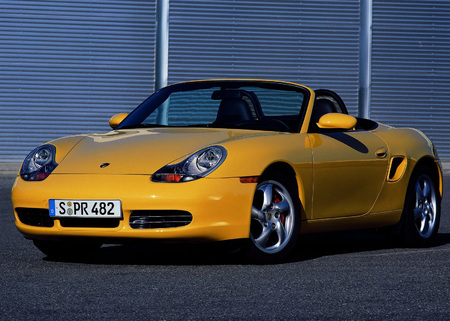 The first generation Porsche Boxster was produced between 1996 and 2004 (with a minor facelift in 2002) and it is unrealistic to think that cars more than 12 years old will be entirely problem-free during your ownership. The good news is that the Boxster 986 is generally reliable and has an MoT pass rate of 78%, which is well above average for cars of that age. The most common reasons for failure are minor headlamp defects and worn tyres. However, there are a number of expensive things that can and do go wrong with the Boxster 986. The key to making a good buy is to check that none of the known major issues are imminent, that any work previously undertaken has been completed to a high standard and that the 986 has been well maintained throughout its life. A comprehensive Pre-Purchase Inspection at Revolution Porsche’s Brighouse workshop will give you a detailed assessment of the condition of the car you are considering buying and the cost of any imminent work, but it is sensible to have a list of things to look out for when you first test drive a used 986. 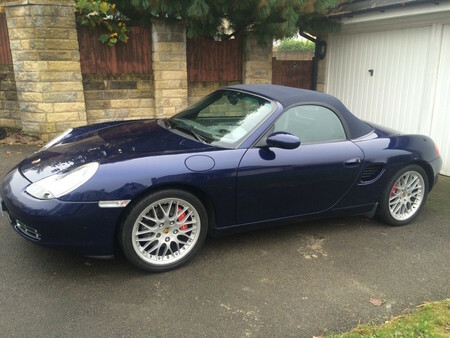 Some Boxster 986s are available for less than £5,000. When buying any used car a full service history is a must, as it demonstrates the car has been well looked after and that the recommended maintenance regime has been followed. It is particularly important with Porsches because the specialist nature of the cars mean they really need to be serviced and repaired by experienced Porsche technicians familiar with all the systems. Ideally, the Boxster you buy should have been maintained and repaired by Official Porsche Centres and independent Porsche specialists following the recommended service schedule. If services have been skipped or non-specialist garages have been used, it is a sign that the car may not have been properly looked after. Many owners keep all the invoices from services and repairs with the service book and this will allow you to check that the correct parts and fluids have been used. Don’t worry too much about missing receipts for work undertaken years ago, but it is useful to see the invoice from the last service. It should include a list of advisories about work that will need to be done in the near future and will give you an idea of the sort of repair costs you may incur during the first year of ownership, which you can then factor into your offer. 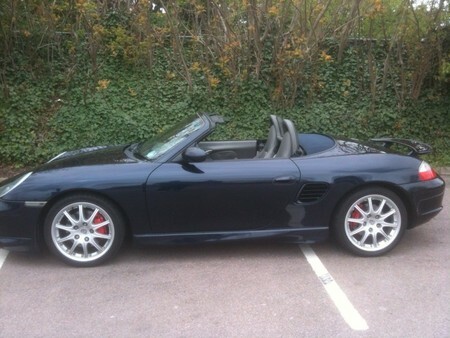 High mileage is not necessarily a bad thing on a Boxster, providing it has been properly maintained. In fact, a 986 that has been well used may well be in a better condition than one that has an attractively low mileage reading. Brake discs often corrode on Boxsters that are not used regularly, while low-mileage models can also suffer from oil leaks via perished seals, batteries that fail to hold charge and parking brakes that jam on. These cars were built to be driven not just admired, so a high mileage total on a 986 with a full service history is nothing to worry about. 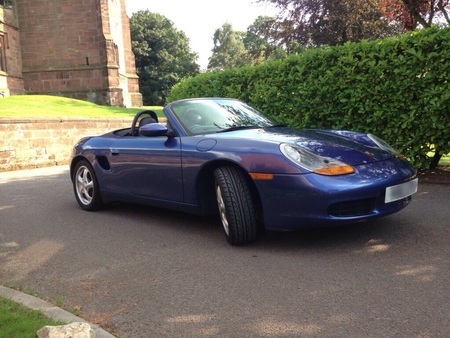 High mileage isn’t a problem, as long as the Boxster has been serviced regularly. If you’ve looked at any online owners’ forums to read up on major issues with Boxster 986s, you will almost certainly have seen some cracked bore liner horror stories. The problem is nowhere near as common as the scare stories would suggest, but unfortunate owners who have experienced it tend to shout loudly because it can lead to catastrophic engine failure and a huge repair bill. The issue is most common on pre-2001 cars and can be difficult to spot. The most obvious early sign is emulsified oil, but it is tricky to access the engine to check for it, meaning the problem tends to go unnoticed until the 986 starts to overheat. If you want a thorough check on the condition of the bore liners, contact us about a pre-purchase borescope inspection at our Brighouse workshop. It should either reassure you about the Boxster’s health or deter you from buying a car with an imminent large repair bill (quite possibly larger than its value). One potentially serious issue that is known to affect the Boxster 986 (and in particular pre-2002 models) is worn chain guides on the VarioCam timing chain tensioner. Over time, friction from the chain can scrape material from the surface of the guide rails; the debris then gets into the engine oil and gathers in the filter, reducing lubrication of vital components. If the Boxster 986 you are interested in has gaps in its service history and has missed scheduled oil and filter changes, it is more likely to be affected by worn VarioCam guides. The guides are lubricated by the engine oil, which minimises the damage caused by the chain, and newer oil does the job more effectively. The issue develops gradually as the guides wear, so drivers often don’t notice there is a problem until another component is damaged or the check engine light is triggered by diagnostic codes for chain tensioner failure. By that time, the potential repair bill is already mounting. It is almost certainly not something you could pick up on during a test drive of an unfamiliar car, but an experienced Porsche technician will spot it during an engine inspection. If the guides are worn, they can be replaced easily enough. It is sensible to have the chain and chain tensioners replaced at the same time, as these can also fail with age and cause serious issues. Porsche changed the tensioners it used for the M96 engine in 2000 to a more robust design, so if you are looking at an early 986 ask whether the owner has already had the tensioners upgraded. If not, it is worth considering replacing them for the later design if you buy the car – if only for your own peace of mind. One of the most expensive problems you could encounter if you buy a Porsche Boxster 986 is intermediate shaft (IMS) bearing failure. This problem is not as widespread as the horror stories on internet forums would have you believe, but that will be of little consolation if you suffer it and are left with a bill to rebuild the engine that is higher than the value of the car. The failure is extremely rare on early 986s, which have a dual row IMS bearing. However, Porsche switched to a single row version between 2000 and 2005 and it proved to be nowhere near as durable and failure rates were significantly higher. If you are considering making an offer for a post 2000 model, ask whether or not it has had the highly effective retrofit IMS bearing solution fitted. Many owners chose to have it installed as a precaution to avoid the possibility of problems with the bearing causing catastrophic engine failure. At Revolution Porsche, we have vast experience of fitting the IMS bearing upgrade (often at the same time as a clutch change, to keep labour charges down). Give us a call if you need some advice about whether a replacement bearing is a worthwhile upgrade for the particular model you are interested in. The rear main oil seal (RMS) is prone to failure on 986 Boxsters, which results in oil leaks. Although a new seal costs just a few pounds, the labour charge to replace it is high because the gearbox has to be removed to access it. However, it may not need to be fixed immediately, as the consequences of RMS failure are usually restricted to a minor oil leak. Waiting to have the seal changed until the gearbox needs to be removed for a bigger job, such as a clutch replacement, is usually a simple way to keep repair costs down. If you do spot an oil leak when inspecting a used Boxster, it is sensible to get an opinion from a Porsche specialist before agreeing to buy the car. An experienced technician will be able to tell you whether it is a minor problem or a symptom of a more serious (and more expensive) issue. Make sure you check the operation of the roof to ensure it goes up and down smoothly. Problems with the mechanism are usually simple and inexpensive to fix, but can be annoying if you only discover them when you want to drop the hood and enjoy some rare British sunshine. More importantly, look for signs of leaks from the roof into the cabin and in particular behind the seats. The rear roof drains can get blocked by leaves and dirt, which results in rainwater dripping into an area of the cabin in which an electronic control unit is located. It is simple enough to keep the drains clear, but failing to do so can be an expensive mistake. Corrosion is rare on the bodywork of Porsche Boxsters and rust is likely to be the result of poorly repaired accident or paintwork damage. If you spot any during your initial inspection, ask for an explanation and for details of any accidents, subsequent repairs and, if possible, to see the invoices for the work (although, as cars of this age can have had multiple owners, the seller may genuinely not know the details). Similarly, check the bodywork for dents, signs of filler and unusual gaps between panels, all of which can indicate that the car has been involved in an accident. Again, ask for details of how the damage occurred to allow you to make an informed decision about whether you want to buy. The bodywork of the Boxster 986 should be in perfect condition. As with any car, suspension components will need to be replaced from time to time. There is no avoiding this, but if repairs are imminent you’ll want to know about them before you buy the Boxster and adjust your offer accordingly. Suspension bushes typically fail every five years, with squeaking noises on uneven surfaces and heavy tyre wear the most obvious symptoms. Broken coil springs are also a common problem, which leads to an unlevel stance and knocking noises when driving over poor road surfaces. Both the manual and tiptronic transmission on the 986 Boxster are highly reliable, but given the age of the cars, it is unrealistic to expect the whole system to be in perfect condition. Also, the Porsche-recommended service and fluid change intervals for transmissions are quite long, so problems often go unnoticed until they develop into something serious. Signs that repairs may be imminent include a stiff gear change (often from 1st to 2nd) and a heavy clutch pedal. The Boxster clutch is exceptionally light and the changes very smooth, so if it is anything less than easy, there is likely to be a problem. One other sign of transmission issues is a clicking noise from the rear of the car while driving or a clunking sound when you turn the engine off. If you have any doubts about the condition of the transmission, arrange for a full Pre Purchase Inspection by a Porsche specialist. The technician will give you an independent condition report and an idea of the likely repair costs of any problems identified, leaving you better informed to make a decision about how much to offer for the 986. The brakes on the Boxster 986 are excellent, although if you haven’t driven a Porsche before you may find they take a bit of getting used to, as they are not as heavily servo assisted as those used by most car manufacturers. If you have any doubts about how well they respond, head somewhere quiet on the test drive and try an emergency stop – you may be surprised by just how effective they are. Brake discs and pads are wear and tear items that need to be replaced from time to time throughout a Boxster’s life and you will have to budget for that when you calculate the total cost of ownership. However, if replacement brake components need fitting in the next few months it should be reflected in the price you pay for the 986, so it is sensible to check their condition before buying. Look for signs of a rough surface, a pronounced outer lip or circular grooves on the discs and listen out for a squealing sound under braking – all are indicators that components are nearing the end of their life. On a car of the 986’s age it is almost inevitable that the pads and discs will have been changed at least once, so check that the right high-quality parts were used and that they were fitted by a Porsche specialist. Cheap brake components won’t perform as well as Porsche recommended parts and if you buy a fast car, you need to be certain it has decent stopping distances. The brakes on the Boxster 986 are excellent. One design issue with the Boxster 986 is the placement of the coolant radiators and air-conditioning condensers. Not only are they susceptible to stone chips, they also corrode if the front air intakes get blocked with rotting leaves and dirt. Those front ducts really need to be cleaned out regularly, but the front bumper has to be removed to reach the radiator and most owners never do it. An experienced Porsche technician will know to clean them, but there is enough time for corrosion to set in between services. Check to see whether the front air intakes are full of rotting leaves when you inspect the 986, as this may indicate problems ahead. Damaged or corroded coolant radiators and aircon condensers cannot be repaired, so must be replaced to avoid overheating or the loss of air conditioning – and that can be an expensive fix. One common problem on Porsches with the M96 engine is cracked ignition coil packs, which lead to misfires and a rough sound when running. The problem is caused by heat from the engine and exhaust, which forces the coils to expand and eventually crack. It is not a symptom of a larger issue and you can regard the packs as wear and tear items that will need to be replaced every few years. It is a relatively simple job, which a good independent Porsche specialist will do for an affordable price. If you notice any hesitation in acceleration during the test drive, the issue could be related to the mass air flow (MAF) sensor. Problems with the MAF on the Boxster 986 are relatively common and affect how much fuel is delivered to the engine, leading to a loss of power. It may be that the sensor just needs a clean, as oil and dirt can affect its performance, or that it needs to be replaced. Both are relatively simple tasks, but if you have to replace the MAF it is sensible to use an independent Porsche specialist for the work, as a number of different sensors were used during the 986’s manufacturing life and it is crucial to make sure the right version is installed. Failed rear wheel bearings are a relatively rare problem on Boxster 986s, but given that they can be expensive to replace it is well worth checking. Listen out for a deep sounding hum or a hollow sounding echo from the rear of the car during the test drive, particularly at above 40mph. If you hear any noises of that sort, ask a specialist to check whether the bearings are the cause and, if necessary, for an estimate of the cost of replacements. You’ll want to factor the repair bill in when working out what to offer for a Porsche that is in otherwise good condition. One essential check when buying any used car is on the condition of the wheels and tyres. The 986’s alloys are susceptible to kerbing damage and you will want to ensure that anything serious enough to require refurbishment is reflected in the price. Tyre wear could just be an indication that the tyres are approaching the end of their life, but it could also be a sign that the wheels are not correctly aligned, particularly if the wear is on the edges rather than even. It can be difficult to spot wear on the inside edges of tyres unless the car is up on a ramp; which is a standard part of a Pre Purchase Inspection. A good Porsche technician will be able to tell you whether the tyre wear is due to age, poorly aligned wheels or failing suspension bushes, and give you an idea of the cost of any necessary repairs (and new N-rated tyres). Many Porsche owners are real petrolheads and try to maximise the performance of their cars by upgrading the suspension and exhaust system, or remapping the ECU. Check whether the Boxster you are interested in has had any upgrades and if they will affect your insurance cover. It is also worth thinking about whether you can live with the changes. A sports exhaust may sound great on a test drive but be less appealing for the daily commute, while a lowered suspension could look stylish but be impractical for those speed bumps on your street. Revolution Porsche can help you to select a good Porsche Boxster 986 by undertaking a full Pre Purchase Inspection at our workshop in Brighouse, close to junction 25 of the M62. The inspection will see our experienced Porsche technicians carry out comprehensive visual and diagnostic checks, before compiling a car condition report detailing any work that needs doing. The inspection costs £150+VAT, with a borescope inspection available for an additional £99+VAT. Call Revolution Porsche on 01484 717342 or contact us via the website to find out more or to book a Boxster 986 in.